A single banana is an elegant shape, but a whole pile of bananas is a different thing all together. All the different shades from green to yellow, and the bunches angling in different ways make a dynamic composition. I had one yellow fabric with dark squares of about one inch in size. 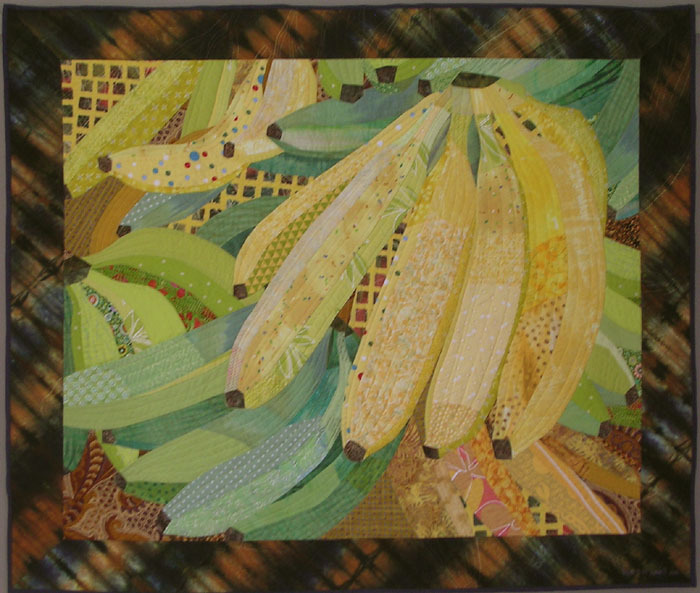 It seemed to need to be in this quilt, a repetition of the dark polygons at the blossom end of each fruit.